The American rapper is embracing her pregnant belly in all its glory. 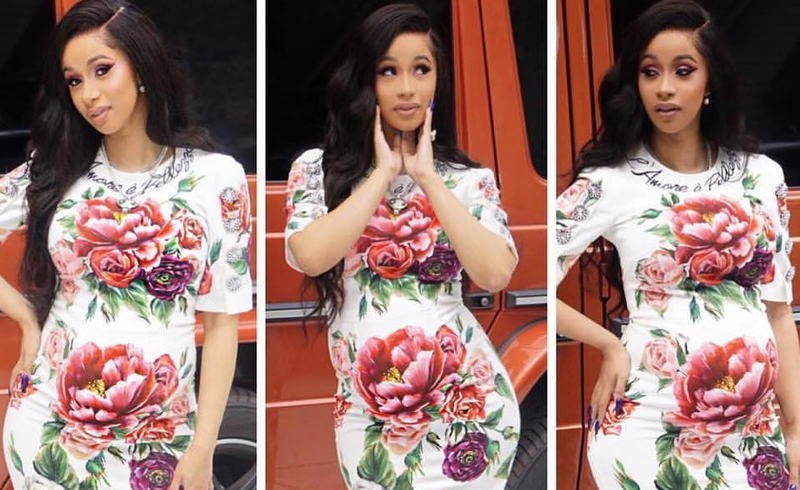 At 25 years of age, Cardi B is loving life, even more now with her first child on the way. Cardi confirmed her pregnancy back in April during an appearance on 'Saturday Night Live'. Wearing a white gown, her baby bump was out in the open for the world, and her fans, to see. That was but a glimpse. She recently took to her Instagram to share a sneak peek featuring her fiancé Offset kissing her belly, coupled with a long open black gown and a pair of heels. The edition will be officially released in July. She makes pregnancy look effortless, don't you think?